I’m thankful for the Reformation. When October 31, 2017 comes around, I will be truly grateful that Martin Luther, Uldrich Zwingli, John Calvin, and many others who are less famous, were willing to risk their very lives to bring the Gospel of Christ back to the center of Christian faith and practice. It’s been 500 years since the Reformation started, but it is an important date in the history of the world that should be celebrated. Taking potshots at the Reformation is relatively easy. There are aspects of contemporary culture that we don’t like: crony capitalism, hyper-sexualization, post-truth epistemology, environmental degradation, theological chaos. Those who dislike the Reformation tend to lay all of the flaws of contemporary society at the feet of the Reformers because Modernity and the Reformation were roughly synchronous developments. Whether the Enlightenment was progeny, parent, sibling, or classmate of the Reformation is far from a settled debate—that is, unless you want to blame a lot of bad stuff on something that you already don’t like. Within the history of ideas, there is no question that many aspects of Protestantism have been influenced by the surrounding culture—including forces of capitalism, (at times) Marxism, nominalism, empiricism, secularism, etc. Such influences are both obvious and, in some ways, unavoidable. The Gospel never changes, but it will always be expressed in different ways based on the cultural context. To claim that the Reformed tradition in invalid because it has been influenced by the surrounding culture­—as some apologists for Rome sometimes do­—is to ignore the fact that earlier Christian tradition was also influenced in its form by the culture around it. The shape of the Roman Catholic hierarchy and magisterium is driven more by the social structures of ancient cultures than by Scripture. This does not necessarily invalidate that ecclesiology, but it may cause contemporary Christians to question whether having one supreme leader of Christianity making authoritative proclamations that may or may not accord with Scripture is more consistent with late Roman polity than with any framework laid down in the Bible. The defenses to the above comment are obvious and would be worth noting in a different essay. However, they are built on the assumption that what the Roman Catholic Church says is right and the tradition of the Church is on par with the special revelation given in Scripture. Such debates exceed the bounds of this post, though I recommend Matthew Levering’s book on the doctrine of revelation for a meaningful discussion. The point is that culture pretty obviously has influenced all eras of church practice. But the uniting theme for Christianity is not denim skirts or Latin services, but the Gospel of Jesus Christ. It is precisely this Gospel that was greatly obscured prior to the Reformation and was subsequently returned to the focus of Christianity by the Reformers. They did not divide primarily over polity, veneration of non-divine humans, or liturgy. Rather, Luther and the other early Reformers recognized that salvation by grace alone, through faith alone, and in Christ alone had been sidelined in favor of dependence of heuristic traditions. As a result, they advocated for the ultimate authority of Scripture as the final arbiter of truth, and sought to lead people to live for the glory of God alone. This, and not the petty squabbles between elder-lead and staff-lead Baptist churches, is the root and legacy of the Reformation. Despite the failures of many Protestant traditions and even more Protestant people, I still affirm and celebrate the Reformation. It represents division—yes. But it represents a division that was necessary for the recovery of the Gospel of Christ which was, and often remains, obscured by the traditions of Rome. No matter how noble a tradition claims to be or how ancient its origin, if it obscures the Gospel, then stepping away from it to affirm the Gospel is warranted and good. There are a lot of things to critically evaluate about the Reformation, but its heart—the recovery of the Gospel—is worth celebrating, even after 500 years. 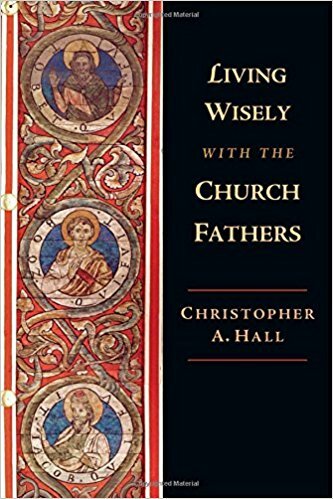 During my preparation for teaching a four-week Church History survey I read several single volume books on the topic and am here doing brief reviews to highlight the particular emphasis of each. Shelley’s book is one of the classic single volume Church Histories. It has weathered well and sold well. The book is very accessible and reads quickly. It is intended to introduce people in the pew to the topic. I’ve heard of it being used as a High School text for homeschoolers, so that is a plus. Shelley focuses on the history of the Western Church, which is the traditional approach, but which is a place where other volumes may have improved since he wrote this book. Still, this is a solid volume that would be a good place to start on the topic. Shelley passed away in 2010, so it unlikely this volume will be updated for too long in the future with other excellent entries into the field. Bray is an excellent writer and historian. His single volume introduction the Church History is a bit more theological than Shelley’s, which fits because Bray is a Historical Theologian. His interpretations are fair, though Bray’s Anglican bias comes through on multiple occasion when dealing with the issue of baptism. This is an intermediate volume, but could be helpful for pastors and those with some background in Church History to gain a deeper knowledge. One downside on Bray’s writing is that his chapters and sections tend to be excessively long, which makes interrupted reading somewhat more difficult. This is a solid volume from B&H, which present Church History in a very traditional framework, like Shelley. He improves on Shelley in two ways: (1) He retells history from a distinctly baptistic perspective, while still maintaining a reasonable balance in critiquing other traditions; (2) His volume is shorter than Shelley’s, with no apparent downside. In all, Early’s volume is an accessible volume should be useful in churches, secondary schools and introductory college courses. Shaw’s approach is unique. 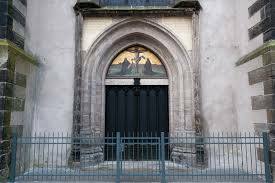 He lines up the various stages of change in the history of the Church in parallel with stages of human life. The analogy works better earlier in the book, but it is entertaining. A major strength of Shaw’s book is his emphasis on global Christianity rather than just the Western tradition. This means that, in the abbreviated format Shaw uses, there is sometimes less information about Western Church History than I would have liked. However, I think the tradeoff was in the whole worth it. I would recommend this one over other volumes because I think it better represents a broad picture of Christianity. The recently released book, The Printer and the Preacher, promises to explain how the friendship between Benjamin Franklin and George Whitefield helped to “invent America.” The author, Randy Petersen, has an extensive list of publications including a number of co-authored volumes. He has written on sports, psychology, history, various Christian topics, and more. Petersen appears to have an eclectic appetite for writing projects and the ability to finish them. The book is readable and there are some interesting anecdotes, but I found it to be a disappointment overall. There are pointers along the way that indicate that both Franklin and Whitefield influenced the founding of the United States, but Petersen never really explains why their friendship was pivotal. I walked away with a better understanding of the long-term correspondence that existed between these two men, but without seeing how it really matters in the grand scope of history. Petersen’s writing style is light. The book uses endnotes, so it is not encumbered by the distractions (welcomed by many) that footnotes often provide. He tells the story well. There are points, however, where Petersen is excessively informal, in ways that may be deemed disrespectful by those who engage in academic pursuits. He consistently refers to people by their first names (George and Ben), which is atypical for serious historical work. There is a connection between the two men. Franklin and Whitefield corresponded for decades and met several times, particularly while Whitefield was preaching through America. Franklin printed news about Whitefield and many of his sermons. Whitefield attempted to convert Franklin from his self-created Deism to a Calvinistic Christianity. He was unsuccessful. There is a story worth hearing here. However, after reading The Printer and the Preacher, it isn’t clear that there is enough of a story to make a book length treatment. At times Petersen lapses into conjecture, trying to describe conversations they were likely to have or occasions they might have met while both were in London. This has the dangerous potential to present as surmise as fact, if the reader is not careful. The concept of a surprising friendship that is essential to the formation of America is intriguing, but in my mind at least, there needs to be a better case made. This is a popular level historical book, but at times the history gets jumbled because Petersen tries to organize the parallels by topic instead of by chronology. He also jumps back and forth between accounts of the lives of two men born eight years apart on different continents. There are certainly some parallels between the two, but at times the presentation seems strained. The greatest benefit of the book is Petersen’s demonstration that two men with vastly different foundational beliefs could get along, work together, and have meaningful dialog for a number of years. Whatever other weaknesses the book may present, this is a good thing to understand and I appreciate Petersen’s efforts to tell the story well. The Printer and the Preacher is a quick read. It would be worth taking to the beach or on an airplane. It is has weaknesses, but it is an entertaining book that some history buffs may enjoy. Is Charles Finney the Prototype for Evangelicalism? With the recent publication of the second edition of a book from the 1970’s, Douglas M. Strong has repackaged Donald Dayton’s theory that evangelicalism is defined by faith experience and right living, rather than by doctrinal fidelity. Dayton’s book uses Charles G. Finney and those closely tied to him as the exemplars of this trend. While it cannot be denied that Finney preached the gospel (or at least a form of it) widely and pointed many to Christ, there is significant doubt that Finney’s belief system is a viable foundation for a sustainable Christian faith, much less being at the heart of historic evangelicalism. Finney rejected the notion of election, divine calling, and substitutionary atonement in Christ’s death on the cross. In truth, Christ’s death on the cross as a human in human form was only necessary because it is substitutionary. If all Christ did was make possible salvation in a general way, it could have as simply been done by fiat as by self-sacrifice. Without extending this post with further discussion on the atonement, it is clear that Christ came as a redeemer not as an enabler. Even taking a thematic view of Scripture, rather than pursuing a verse by verse defense, it does not seem that Finney’s perspective on the atonement is helpful. In short, even without accepting a fully Calvinistic theological paradigm, Finney’s reasoning seems better suited to win an argument against Universalism than to be considered biblically faithful. In all this, I am not making the claim that Finney was not converted, nor that he did not have a profound impact on many people. Finney preached a form of the gospel that enabled many to come to faith in Christ through repentance of sin. He was also instrumental, as Dayton and Strong rightly argue, in ending the evils of American slavery. All of these things could have been, and were otherwise, done while still maintaining doctrinal integrity. By basing their image of historic evangelicalism on individuals on the fringe of orthodoxy, more subject to their culture than to Scripture, Dayton and Strong have undermined their own case. In fact, most of the organizations and theological movements cited in this volume have tended to cut their mooring to Christian orthodoxy in the years since Finney’s influence. Wheaton University has maintained fidelity to its evangelical doctrine. On the other hand, the Salvation Army is no longer concerned with salvation in any meaningful sense. Oberlin College, where Finney was president, is no longer distinctly Christian. The track record of Finney’s theology demonstrates a failure to thrive in the long term. In the first generation, the theological content is assumed, in the second it is unknown, and by the third it is rejected. This should point present day evangelicals toward the need to be active in pursuing social justice while adamant about maintaining the doctrinal orthodoxy of our Christian heritage.